The Haida Heritage Centre in Skidegate is a must-see! The Edge of the World Music Festival in early August every summer. Why not go for a paddle in a traditional Haida canoe? Feeling adventurous? Try climbing up Tow Hill! The Canada Day celebration in Port Clements is always a blast. You might even see the elusive island sunshine! There are too many hikes to choose from so just get out there! Haida Gwaii is full of new and exciting things to try all year round. No matter where you are on the islands, you'll find yourself surrounded with beauty, inspiration and friendly faces. Highwater House and the Tow Hill area are home to endless stretches of sandy dunes, with the beach at your doorstep. Walk for miles beachcombing, bird watching and absorbing the sounds of the ocean. Kayak, canoe or paddleboard along the rivers and ocean or try your hand at surfing in the wild waters of Haida Gwaii. Storm watching from fall through early spring is simply exhilarating. The moss-covered trees, thick underbrush and mysterious bogs of meandering Tow Hill Road give an extra special experience to biking and driving excursions. Hiking to the top of Tow Hill is a must – the climb is gratifying and the view breathtaking. At the base of Tow Hill at the end of a lovely boardwalk is the famous Blow Hole where a rock formation erupts with massive blasts of water when the tide is rising. 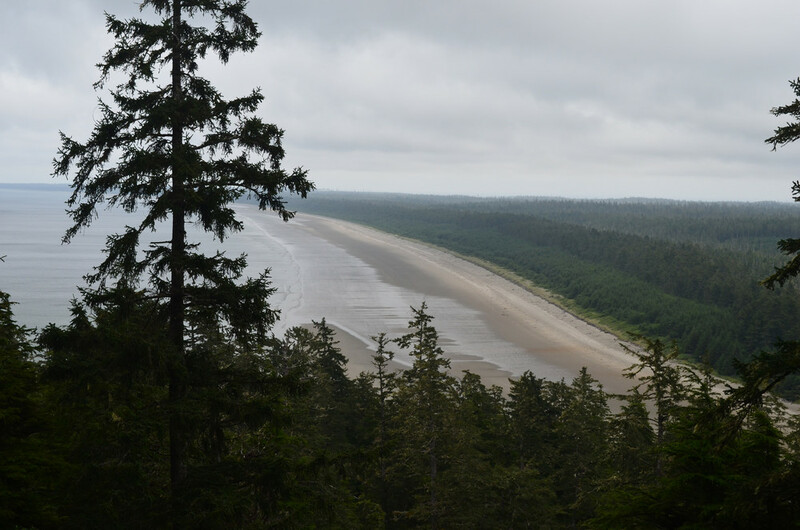 The beach out to Rose Spit is endless and bountiful, perfect for kite sailing or clam digging. The super adventurous (and very outdoorsy, rugged types) might attempt the Cape Fife trail, which leads you to the east coast of Haida Gwaii. For the avid golfer, the Dixon Entrance Golf Course is just down the road. Want to enjoy Happy Hour and a bite to eat after your 9 holes? There are some truly amazing restaurants to be found along Tow Hill Road – we suggest trying out all the local flavours and discover your favourite. The Village of Masset has a credit union, grocery stores, hardware stores, a liquor store, gas station & auto repair shop, car rentals, post office, library, hospital, numerous restaurants and cafés, artisans and basically all the services you might need or want during your stay. Bird lovers will enjoy the Delkatla Wildlife Sanctuary, complete with bird-watching stations, tours, interpretation centre and meandering forest trails. Marine enthusiasts and history buffs will enjoy the Dixon Entrance Maritime Museum. Old Massett boasts majestic monumental poles and longhouses and is home to several talented Haida carvers and weavers. Visit the Tluu Xaada Naay longhouse, Sarah’s Longhouse & Giftshop, artist studios and enjoy the awesome hospitality of the Haida Rose Café. In all three communities you will find talented fishing guides and passionate tour operators to show you the wonders of our Islands. Visit www.massetbc.com or www.northernhaidagwaii.com for a complete listing of services and attractions. Fishing is a favourite past-time on the islands contact a Visitor Information Centre for fishing charters/guides or go free-netting for Dungeness crab at North Beach. Make sure you purchase a fishing license locally or online from www.fishing.gov.bc.ca, and check the laws regarding species, areas, and limitations. The Haida Gwaii Museum and Haida Heritage Centre have year round events, exceptional galleries and visual arts exhibitions celebrating the history, people, art and culture of Haida Gwaii, as well as off-island talent. It is also home to the QC Arts Council’s very popular, annual All Island Art Show in March. There are also many annual events that take place around the islands, especially during the summer months. Check in with the visitor information centres on our Visitor Services page or check out the local paper for up to date information on all community events. If you you’re on Island in May, check out the weekend-long Harbour Days celebration in Masset. June brings the Hospital Day celebration & fundraiser, hosted by the Village of Queen Charlotte, including a parade, softball tournament, auctions, lots of games and live, local music. In July, Port Clements celebrates Canada Day. Events include a mud-bog and island-wide sports competitions. 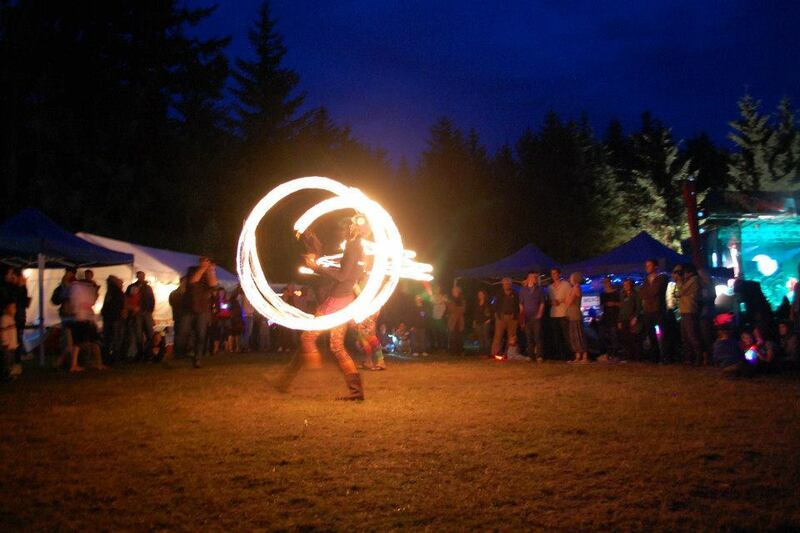 Come mid-July do not miss Skidegate Days! A three-day celebration packed with events and games such as canoe races, children’s games and activities, fish filleting competitions, bingo, softball tournament and the Totem to Totem Marathon. Later in the month head to Sandspit and check out the intense competition at Logger’s Sports Day where men and women show off their considerable skills in log burling, axe throwing, and the always entertaining greased-pole climb. August might be the busiest month for community events on Haida Gwaii, beginning with the Tlell Fall Fair, a showcase of local talented farmers, gardeners, foodies and performers. Shortly after comes the increasingly famous Edge of the World Music Festival, also in Tlell. Performers come from around the world and Haida Gwaii communities come together to make a weekend you'll never forget. In late August join the Haida Heritage Centre at Kay Llnagaay for their super popular anniversary celebration honouring our Haida heritage. The day begins with a clan parade followed by opening ceremonies, great food and festivities that last well into the evening, such as traditional Haida dancing, Haida language spelling bees, Indian leg-wrestling, Men’s and Woman’s dance competitions, Canoe Breaker, Daaxinaay (a laughing game) and many other Haida games. Throughout the summer, proud young interpretive guides lead visitors on numerous tours through the Haida Gwaii Museum and the Haida Heritage Centre, covering traditional Haida weaving, carving, totem poles, canoes, language and the traditions of Haida song and dance. Basketball tournaments in Skidegate and Old Massett rule the winter months while the Haida Gwaii Film Festival brings new talent out of the woodwork in early March.